Last week, the California Assembly Committee on Business and Professions voted in favor of Assembly Bill 315. 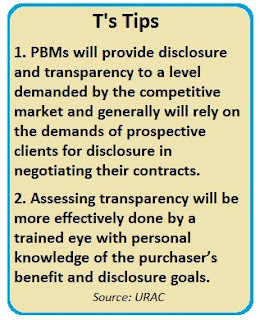 AB 315 seeks to amend the California Business and Professions Code: (a) to require PBMs to obtain licensure from the Board of Pharmacy, (b) to state that PBMs have fiduciary duties to their “purchaser” clients (i.e., health plans), and (c) to require PBMs to disclose to their purchaser clients data regarding drug costs, rebates, and fees earned. The favorable vote moves the bill to the Committee on Appropriations. California is not the only state that is considering adopting a PBM “transparency” law. New York’s Governor Cuomo released a proposal that seeks to require PBMs to both register with the State and obtain a license (from the Department of Financial Services) as well as disclose financial incentives or benefits for promoting the use of certain drugs and financial arrangements that affect customers. The Governor would also like to impose price controls on pharmaceutical manufacturers. New York has a long history of regulating PBMs through a handful of systems because the services that PBMs offer often result in a PBM needing to hold a specific non-PBM license and to adopt a specific corporate structure. In addition, Senator Wyden (D-Ore.) introduced the C-THRU Act to the Senate Finance Committee in March. 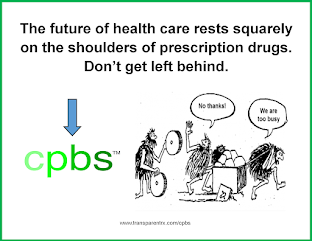 The C-THRU Act seeks to make PBM rebate data publicly available, require the Secretary of HHS to adopt a minimum percentage of drug rebates that a PBM would need to pass through to certain of its health plan clients, and amend the definition of “negotiated prices” under the Medicare Part D Program. The provisions of the bill that seek to make PBMs fiduciaries of their health plan clients and to impose reporting requirements are more burdensome and contentious than the proposed licensing requirement. Becoming a fiduciary of another entity carries with it significant responsibilities and additional reporting. While claiming that PBMs are fiduciaries of health plans might not drive up the cost of drugs, one would expect for it to drive up the cost of administrative services provided by the PBM. Aggregate acquisition cost from a manufacturer or labeler for each therapeutic class of drugs. Aggregate amount of rebates (including utilization discounts) received by the PBM for each therapeutic class of drugs. 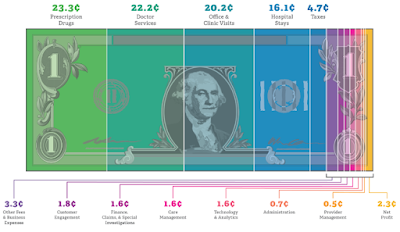 Administrative fees received from a manufacturer or labeler. Aggregate rates negotiated by the PBM with pharmacies for each therapeutic class of drugs. The proposed requirements are relatively similar to those that are imposed on PBMs that provide services to Part D plans and health plans that participate on an Exchange created under the Affordable Care Act. That this data is expected to be reported monthly is more frequent than other data reporting laws that we have seen. As rebates are typically paid quarterly, and in many instances, many months after a prescription is filled, it seems unlikely that the data listed in the bill will provide health plans with very helpful or timely information. Interestingly, these reporting requirements do not relate to or translate into information that will be provided to the health plan member, let alone lower prescription drug costs for members. Many health plans already receive this data. Receiving this data does not require a health plan to establish its formulary in a certain manner, to impose lower cost-sharing levels, or to pass through the benefit of discounts (that are not collected for months after a prescription is filled) to its members. Which leads one to question the real significance of the legislation and whether it is more symbolic rather than substantive in nature.